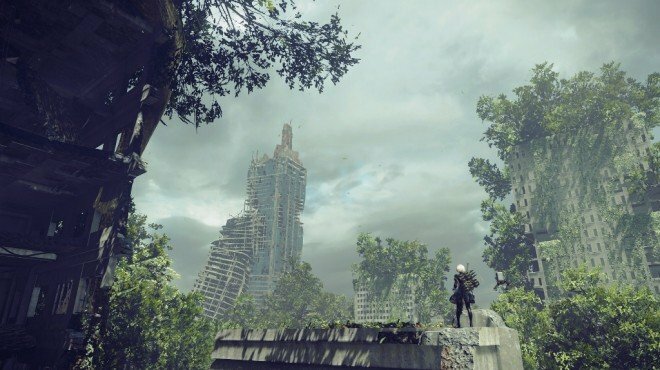 [Top Secret] Project YoRHa is one of the information archives in Nier: Automata. Project YoRHa is a comprehensive information project intended to enhance android morale. This entry details the circumstances that led to its proposal, as well as information related to operations conducted during its individual phases. Following the collapse of Project Gestalt around 3400 CE, the remaining androids searched for a way to revive humanity. But they were unable to discover an answer, and humans went extinct by roughly 4200 CE.Afterward, the genes of Gestalts and structural information of the remaining Replicants were recorded and sent to a storage facility on the moon. The news of humanity's extinction was meant to be a closely guarded secret, but rumors of the event eventually began to leak out. Having lost the one thing which they were programmed to protect, android morale began a precipitous decline. Concerned by this turn of events, Command designed Project YoRHa as a means to lift android spirits. The first stage of the project was spreading the word among Resistance groups that humanity was not, in fact, extinct—and that the last remaining remnants had managed to escape to the moon. This deception was supported by installing a communications server on the lunar surface to send regular transmissions. Said server was designed to be manned by as few maintenance personnel as possible. Through the dramatic alteration of the Next Generation Combat Unit Project that had been proposed at the time, new "YoRHa" models began to be manufactured. Officials models were created following the implementation of data acquired from an experimental squadron, and were then deployed to all regions. Certain members of the YoRHa operations staff, however, were informed of the full scope of the project—these units were tasked to operate and protect the server on the moon. I wouldn&apos;t say it is that easy to answer. Yes and no. The YoRHa project was designed for morale lifting, but the overall purpose for all human-made android was still to retake Earth from machines. It doesn&apos;t matter if it was for humans or for androids. If YoRHa was successful, then they could manage to recreate laboratories and use human genome to revive humans. As humans created androids, they would revive their original creators. I often think about how matters would be different if humans were not extinct. It would cool if humans joined the fight and take androids as their kin - as a family that wants to just return home. Side-by-side fighting, protecting each other, mourning together. These qualities are what makes a human - human and I think that was even message intended from developers to us. So the overall purpose of the project...was to be a morale booster? and for that, they slaughtered thousands, if not millions, of machine life forms?